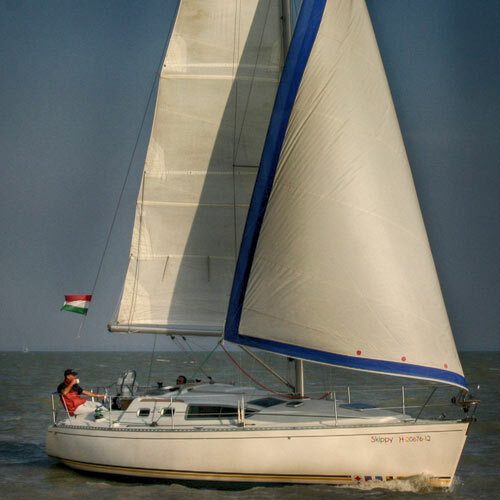 The B25 has been designed particularly for Lake Balaton in Hungary. 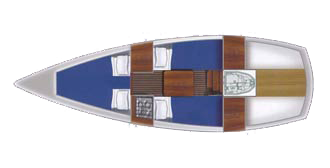 The yacht is easy to manoeuver and sails fast, yet offers plenty of space for a boat of this size. Depth sounder with shallow water alarm, speed and distance log, water temperature gauge, wind indicator and GPS (on request) provide you with the necessary information. 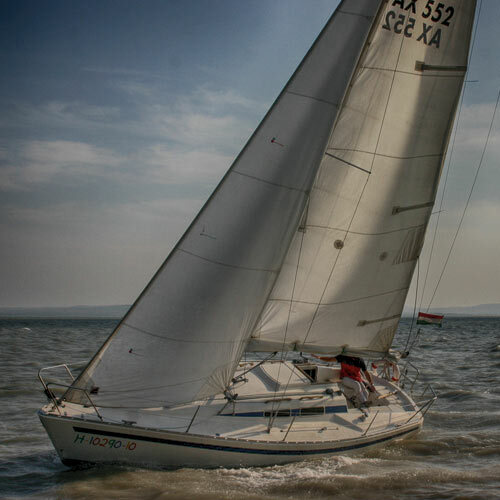 The Balaton Pilot (pilot book) will inform you about everything you need to know about Lake Balaton. The hinged table can be used in the cockpit and in the salon. With the shore power supply you have the opportunity of a 220V socket in the salon for your electrical appliances and to charge the batteries. 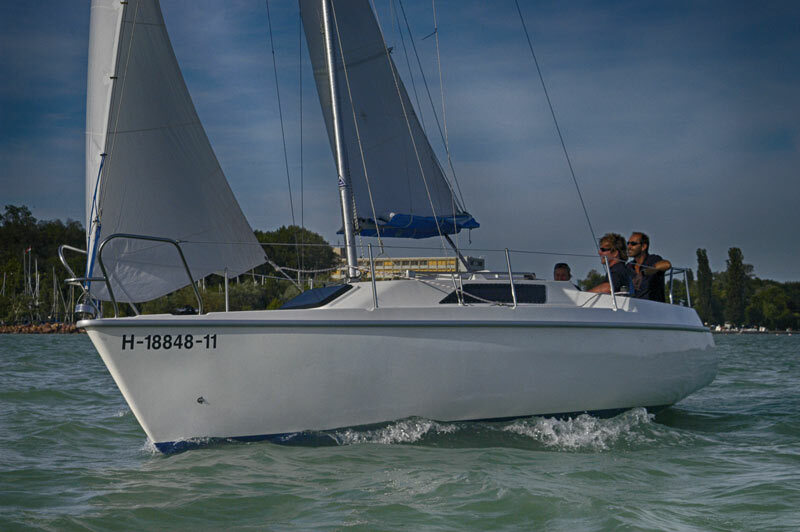 The Balaton 25 is the first yacht of this size with lots of interior space that perfectly meets the needs for a cruise with family or friends. On board, you will benefit from a small sink, a small gas stove, a chemical toilet, an electric heater for cooler nights in April and October. 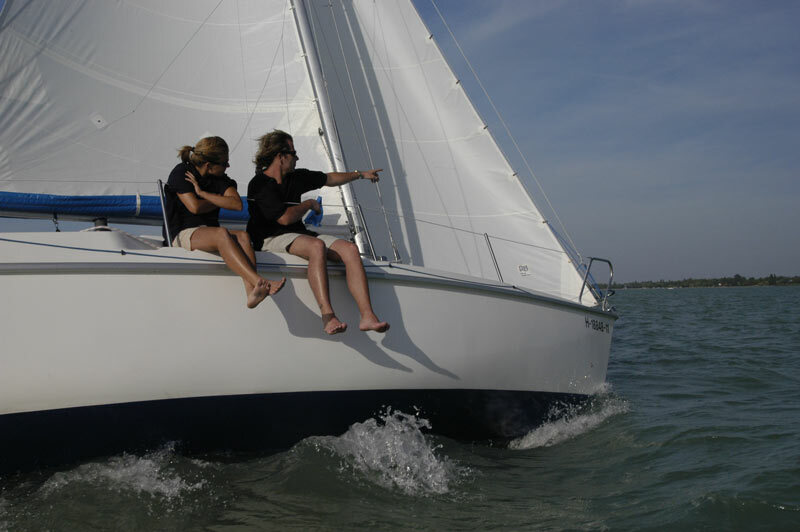 Furling jib, Lazyjacks, Lazybags and a one-hand quick-reef, everything to operate from the cockpit ensure fast, safe and comfortable sailing. Even in light winds, the B25 easily sails up to 6 knots. 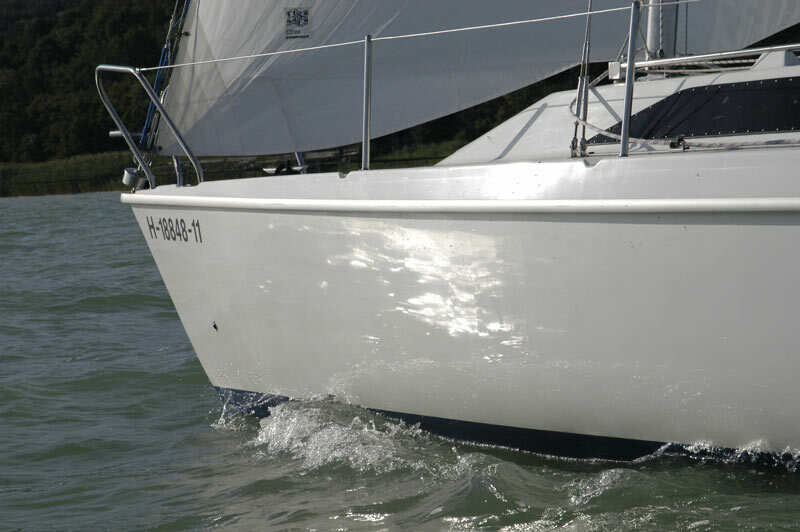 The yacht can also be sailed single handed. 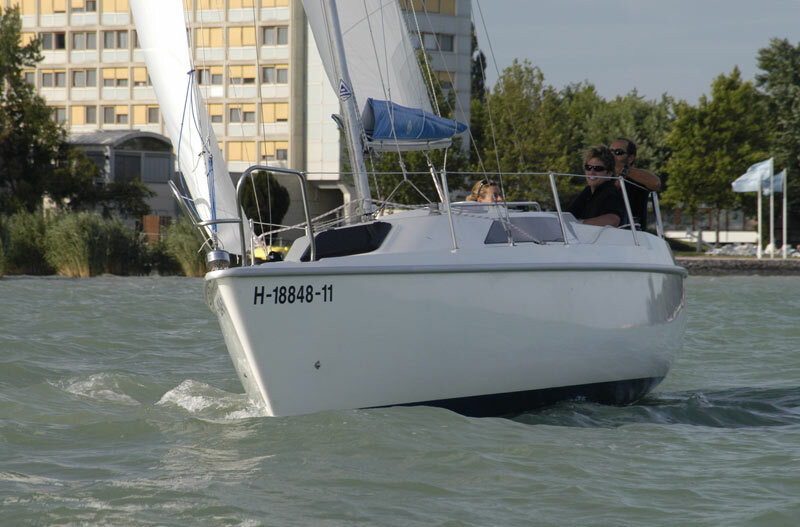 On board you will find 2 anchors (12 kg), sufficient mooring lines, 4 fenders, 6 lifejackets and all of the legally required safety equipment (throwable life ring, distress horn, first aid kit, boat hook, etc.). A 11 hp Vetus inboard engine ensures safe manoeuvring within ports.